There is a mental state of mind and an emotional state of being that we invite you to maintain. When you bring your awareness into the present moment of NOW and you are holding an energetic stance of a high vibration, it does not matter what you are doing or with whom you are doing it. The key is to be in the moment, fully filled with your joy, gratitude and appreciation. There will be a flow, a grace and an ease. It is not what you do, but how you do each moment. The illusions of struggle, stress and strain are low frequencies, and these states of mind vibrate/radiate in the third dimension. They are a part of the matrix of lock-down. Become aware that you hold the illusion of struggle, difficulty, and challenges; these are states of mind that are learned as part of the third dimension. They are part of the collective limitations of lack and powerlessness. There is an awareness occurring in the consciousness of humans - that they are unlimited; they are only playing a hologame that appears to have limitation. This is an illusion. These illusions of limitation are passed down from parent to child; they are only beliefs. These limitations are encouraged and maintained by your society; they are supported by the media, and by your leaders. Limitation is the old third dimensional paradigm. 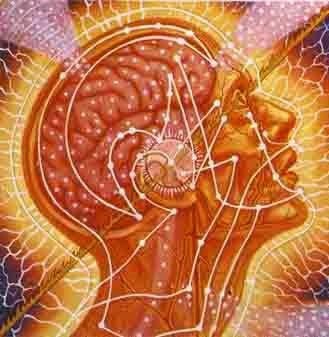 There is an evolution of consciousness happening in the hearts and minds of more and more humans who are waking up to the realization that they are the creators of their experience. This evolution of consciousness expands into the truth of the unlimited self - into the awareness, and the aspect of each human becoming conscious of their lives in multiple realities.